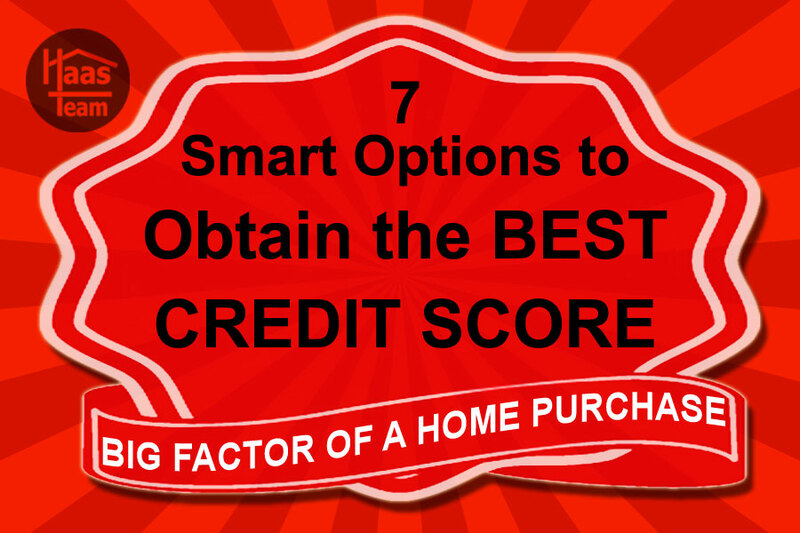 If you are considering a home purchase, your credit score is a huge part of this process. You credit score also impact many part of your financial life from what you pay for car insurance to your ability to get credit. The following is an article from "Realty Times' that goes over some great ideas on how to obtain the best credit score. Getting ready to buy a house or just thinking about it? Where to buy, what to buy, and how you'll afford it are probably top of mind. But if you're not also concentrating on your credit score - and by concentrating on, we mean actively trying to raise your scores as much as possible - you're not looking at the whole homebuying picture. Not only can does your credit score factor greatly into what you'll pay for your house, it can keep you from being able to buy one, period. "Your credit history determines what loans you will qualify for and the interest rate you will pay," said eloan. "A credit score provides an easy way for lenders to numerically judge your credit at a point in time. It gauges how likely you are to repay your loan in a timely manner. The better your history appears, the more attractive you become as a loan customer." Thankfully, your credit score is not static; it can (and does) change all the time, and there are all kinds of ways to improve it, some better than others. We're running down the smartest options to boost your score in the new year. 850 is the best score you can possibly get, and, while it may seem completely out of reach, there are people who actually crest that credit mountain and reach the top. "It's the Holy Grail of all credit scores: 850. On the widely used FICO credit score scale, approximately one in every 200 people achieves perfection, at least as of a 2010 estimate by the Fair Isaac Corporation," said The Motley Fool. Careful budgeting and detailed attention to every aspect of their financial picture are the umbrella tactics they use to get and maintain that score - and they're ones you should be using, too. If 850 is out of reach within a reasonable timeframe (reasonable being the maximum amount of time you want to wait before buying a home), try for 750. This is the magic number for many lenders and creditors. "It puts the ball completely in the corner of the consumer rather than the lender, said The Motley Fool. "You'll often have lenders fighting for your business, and in nearly all instances, you'll be offered the best interest rate by lenders, meaning you'll have the lowest possible long-term mortgage and loan costs of any consumer." According to CreditCards.com, a good 35 percent of your credit score is taken from your payment history. You may have missed payments in the past that you need to deal with now, but you certainly don't want to make another mistake while you're trying to get homebuyer-ready. Almost every creditor, from your utilities to your car payment to any outstanding student loans you may have, offers the option of automatic payments. This is the easiest way to ensure you never miss a payment because you got busy or spaced on the due date. But, just remember to make sure there is enough cash in your account to cover the payments on the day the money will be coming out. If you have been busy moving funds into savings for your down payment, you'll want to set a reminder to put money back into whatever account your auto payments are attached to. The amount of credit you have is a factor in qualifying - or not - for a mortgage. Too much debt is a bad thing. But, long-term credit use that has been managed properly can be helpful to your score. If your lender does recommend getting rid of some of your available credit, it likely won't be older cards. "Length of credit history is considered when determining your score - so the longer you've had a credit card, the better," said CNN Money. Also beware that closing any card triggers a change in your "utilization," and that might not be a positive. Be sure to consult with your lender first. Banks don't look kindly on those who have used all of their available credit because it gives the appearance that you're not living within your means. "The amount of available credit you use is the second most important factor in your score," said NerdWallet. "Experts recommend you keep your balance on each card below 30% of your limit — if your limit is $5,000, your balance should be under $1,500." Of course, even lower is better. Get to 20% or even 10%, and you'll be in great shape. But don't go below that. While it may seem like a zero balance would indicate that you are financially savvy, banks like to see responsible credit management. That means using your cards and paying down the balance to a reasonable level every month. If you're trying to weigh the best tactics for improving your credit and you don't have the funds to take care of every outstanding wrinkle on your credit report and pay down your existing debt at the same time, you definitely want to check with your lender before you make any move. Every dollar is important, and while NerdWallet notes that your credit score will "soar" as you "pay off your debt as aggressively as possible without acquiring more," it could be that your lender has a strategy that places more importance on other credit issues in your report, or has structured your credit repair according to a different timeline. You may end up buying a home before you get your credit score exactly where you want it to be. If you're in an appreciating market, which much of the country is, and your score continues to rise after you close escrow, you might be in a position to refinance sooner than you think. Especially if you buy your home with an FHA loan, their streamline refinance program can potentially lower your rate without an appraisal, a credit check, or job/income verification.